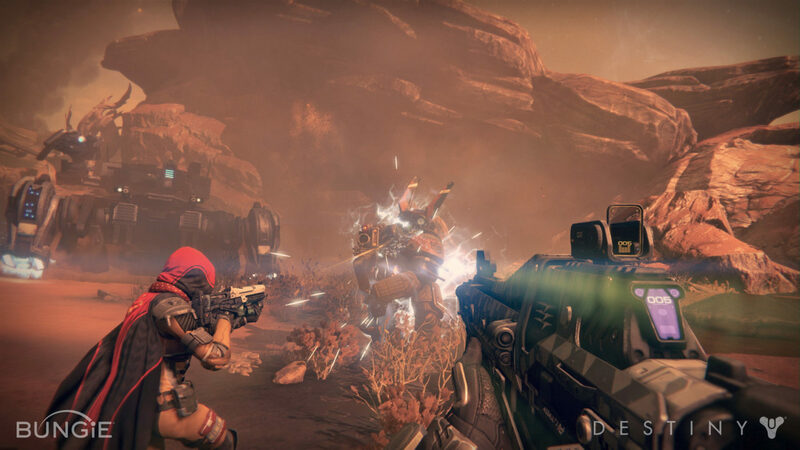 Bungie is going to do “far more” than allow you to live stream Destiny‘s beta this summer. It’s not entirely clear what Deej’s rather cryptic words might actually mean, but it sounds like a number of community and live stream events are in the works for Destiny’s beta, announced to come to the PlayStation 4 and PlayStation 3 first. Answering more fan question, Deej also made it clear that service years on Bungie.net will be reflected in-game, though no specifics were given. “If you’re thinking you’re two months from seeing this game on your shelf, I’m still here to ask you to put on the brakes. The next phase awaits, in which you’ll be invited to launch head-long into the world we’ve constructed, like a test pilot clad in exotic armor,” he wrote, presumably referring to the game’s upcoming beta. Destinly launches on the PS4, PS3, Xbox One, and Xbox 360 September 9. Keep your sights on MP1st for more on the game!